With a pair of sketches on Saturday Night Live making fun of the Boy Bands which were popular at the time, 7 Degrees Celsius channeled a poor man’s N Sync with their look. Realistically, making fun of Boy Bands is like shooting fish in a barrel, and there are actually better parodies of the genre on the ballot. The failed drummer in all of us (ok, the person writing this) really identified with the character of Robert “Fish” Fishman who was destined for stardom until his original band that sold him out to get a record deal by replacing him with a record executive’s nephew sold him out. James Franco appears as “Alien”, the wannabe rapper and gangster in Spring Breakers. We saw a bit of his rap, which we guess is enough to qualify him for this ballot, though we suspect that doesn’t give him much of a chance here. Now if we ever create a fictitious douchy hall for white trash rappers, this is a lock! Yeah, we know. Nobody watched Showgirls for whatever the character Andrew Carver did, nor do we remember what he did ourselves. We do recall that he was presented as Rock star of some sort, so what the hell, he gets on the ballot. Thank you, Elizabeth Berkley for your dream of being a dancer! This is another that we almost forgot about, but when you have Appolonia playing a character named…Appolonia, you can see why we might have overlooked it. She played a cocktail waitress turned singer who hooked up with Lorenzo Lamas. We aren’t sure if this is an upgrade or a downgrade from Prince though. We have a rip off band of cult superstars (Kraftwerk) in an excellent cult movie (The Big Lebowski) too? This may be too hard to pass up! Recognizing the popularity of Guitar Hero, playable character and resident metalhead, Axel Steel is up for your consideration. A stereotype of late 70’s Heavy Metal, Steel is the consummate shredder and hates disco. This might be the guy you want to party with, but perhaps only once a year. Another high school garage band going nowhere, Axl and the Axmen’s claim to fame is superimposing their hot teacher into a music video for their basic three chord (was it even three?) song. 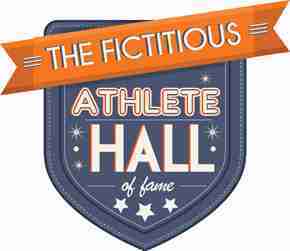 Personally, we thought Axl’s Boss Co. was better but until we have a Fictitious Company Hall of Fame…. We never heard Axl Bundy play, nor did we care. We loved watching Al Bundy hobnob at the airport lounge with 60’s singing legends (John Sebastian, Ritchie Havens, Spencer Davis, Robby Kriger, Peter Nooner and Mark Lindsay). Does this make him a FRRHOF inductee? Probably not, but it was a fun watch! The squeaky clean 50’s crooners of John Waters’ “Cry-Baby”, Baldwin and the Whiffles sang the original songs of the rock era; though only the ones without any real attitude. Of course, if they did that would have refuted the point wouldn’t it?